Hong Kong is Minivantopia. There’s no denying it. 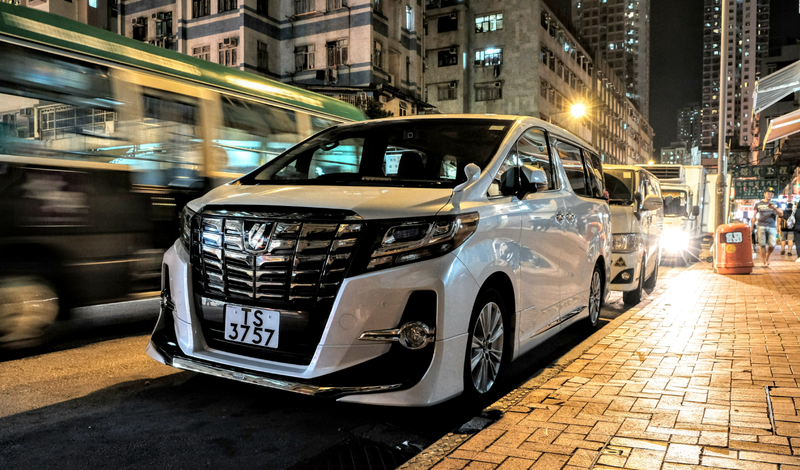 I flew to Hong Kong a few weeks ago and saw the coolest, most pimped-out minivans I’d ever seen. Unless it’s a Tesla Model X, we Americans aren’t really fans of minivans. But in Hong Kong, people dream of one day owning a tall wagon with sliding doors. Spacious, practical, and decent on fuel, vans offer drivers space— something that is sorely lacking in the crowded cities of Hong Kong. It’s not surprising that Hong Kong has vans. What’s surprising is that that van is the car in the territory off the southeast coast of China. You see more vans than you do any other kind of vehicle. If you asked a child from Hong Kong to draw a car, he or she would almost surely draw a Toyota Alphard van. Many of these vans (okay, they call them MPVs) were turbodiesels with manual transmissions. Their owners modded them with carbon fiber hoods, big brake kits, aftermarket wheels, wings, body kits— the lot. Some of the vans weren’t even modded, though. They came straight from the factory looking awesome. Strange names like Nissan Elgrand, Toyota Vellfire, Toyota Alphard, and Toyota HiAce littered the streets.